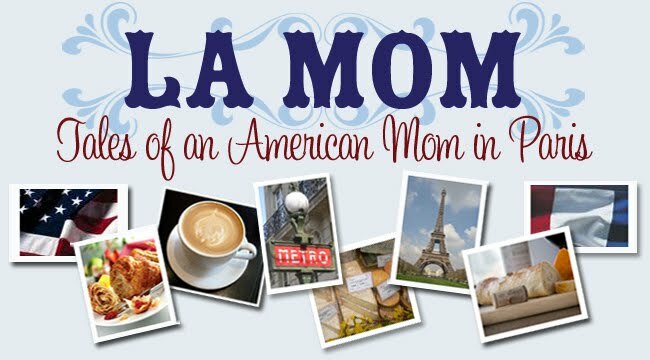 Your BFF in Paris, La Mom, is pleased to share the following opportunity with her readers. La Mom is in contact with a NYC production company who is currently casting for a new TV show which will feature an American family/ couple that recently moved abroad. The show will follow this family as they remodel a room in their new home. This is a documentary-style TV series for a major network that follow the lives of American couples and/or families as they settle in a new country and make plans to renovate their new home abroad. The production company is looking for American couples or families, aged 20’s to 40’s to participate in a new show about international renovations. Those who have bought permanent (live there at least 6 months out of the year) homes in another country. 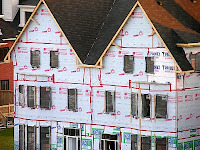 The American homeowners must have already purchased their home (all paperwork and permits completed), and are starting renovations in at least one room. Renovations would need to start in January/February of 2011, and be completed in the next few months after. If you’re planning to start renovations later in the year, please feel free to submit your interest as the production company is also collecting potential candidates for future episodes. If you're interested, please contact La Mom at lamom.paris@gmail.com for more information. Un grand merci to everyone who reads La Mom and publicly follows my adventures in Paris as an official Passport Holder. Rendez-vous next week for more! I'd love to see this show when it airs! Too bad we have to live abroad. My husband renovates houses and we are planning to build a home with French materials-doors, windows, etc. for an authentic look. Of course, it will be several years before we actually begin the build. @à la parisienne - Your project sounds wonderful. Would love to see pictures when it's complete. Hope it doesn't take too long to build! Sounds like a great oppertunity for someone. We shot House Hunters Int. this summer... just aired last weekend..
fun experience for sure! What is the name of the show? My mom loves House Hunters, especially the Paris episodes! Can you send me the link to your TV appearance? I'd love watch it! ooooh, sounds very interesting! I was briefly talking with house hunters international but the format would have been just too challenging/weird to work out. Hope you have fun and keep us updated! I just wanted to say hello, La Mom! We have recently, well 5 months ago, I do not know if that qualifies as recent. We are outside of Paris in Fontainebleau. To most it seems far from Paris but being from Texas where we drive drive drive for anything a 35 minute train ride into Paris seems close enough. I used to have a blog tracking my fitness, triathlons, blah blah, but have started one for my life in France but barely have time to write I feel. We are away from our families and grandparents’ were great for watching the kids, HA! Now it is all on me, most of the time. Anywho, love your blog and read it all the time. Thank you for the laughs! Thanks for stopping by. I love Fountainbleau - it's a beautiful town. I used to golf out there pre-French Fries. Good luck in France!